Good on your part to replace it! Scrap storage looks practical as well! Needs some further tweaking but so far I am happy. Today’s little project was to clean up my heirloom dead-blow Hammer. This thing has served the family for decades and I now bought a couple of new faces and have cleaned the head. 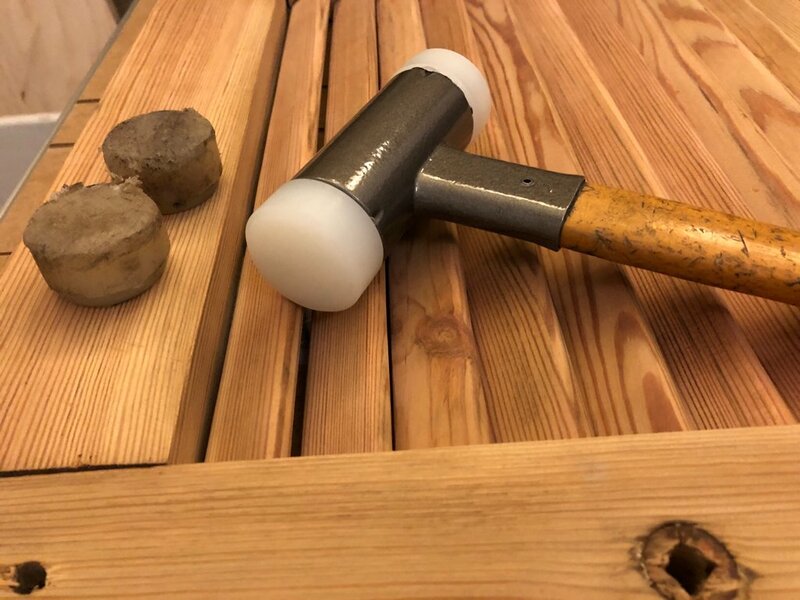 Needs a coat of something, but I can’t decide if I should go for the original colored/hammered or a clear coat to show of the nice „history the hammer has accumulated. Blimey. I fell under a big rock of cough and flu. Am only slowly starting to surface again. But I managed to finish the heirloom hammer. I did a similar rack many years ago. It has been really good to have. You will like having one. Can't ever be big enough though. 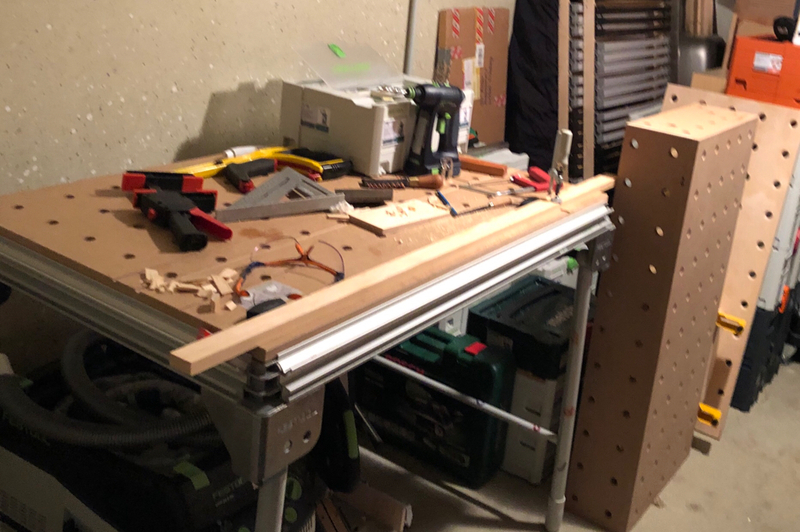 Posted this in the attic storage thread already, but I am so happy with my drill attics finally filled, that I can’t keep myself from putting it up here as well. 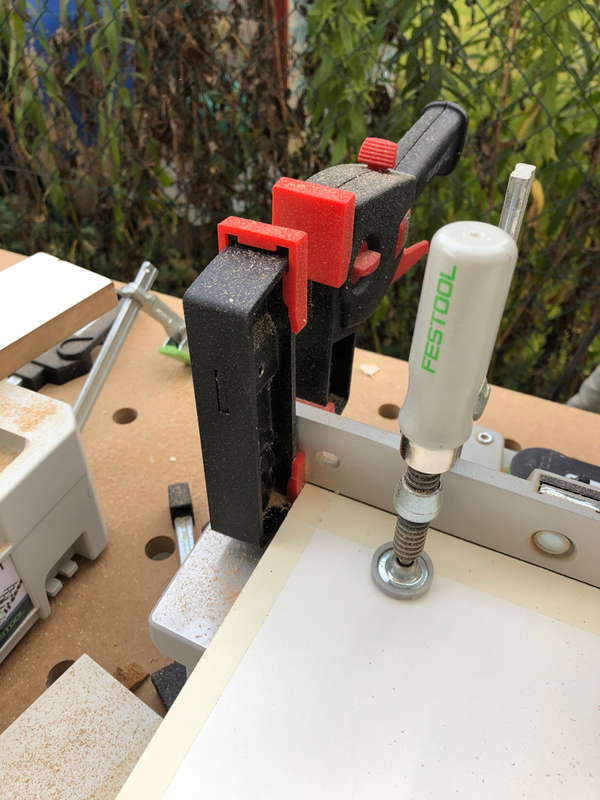 I really enjoy the Festool brad point bits. They leave a clean cut and the sets I got were real cheap. I thought a lot about if I should put out the money for the bit sets (Philipps, Pozi, Torx) but since they were only 20 Euros each, I figured it would be more expensive to try and get empty holders to fill up with something else.. Sorry. My humor is sub-par sometimes. 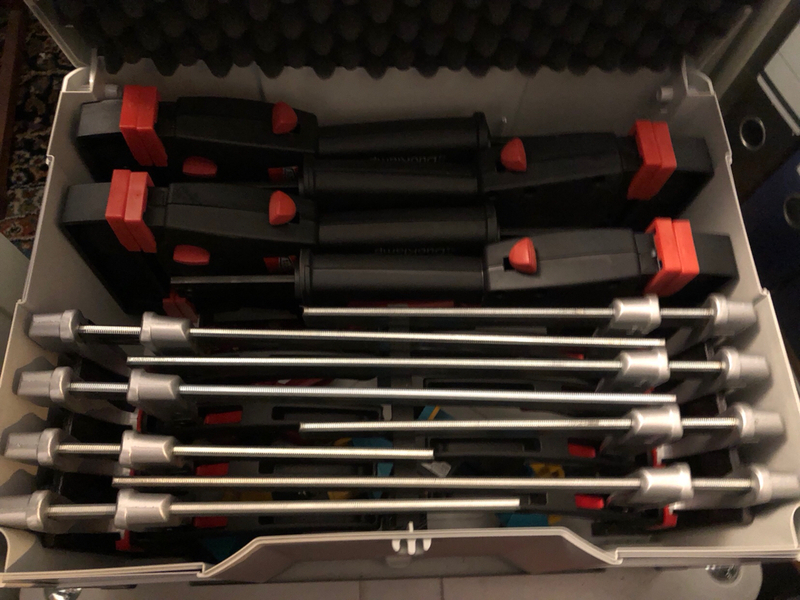 While shopping, I also filled up the remaining spots in my Bessey Clamp Systainer. I'm just getting over two weeks of sinuses (mysteriously without much of a cough) and fatigue. Nice work on the hammer. 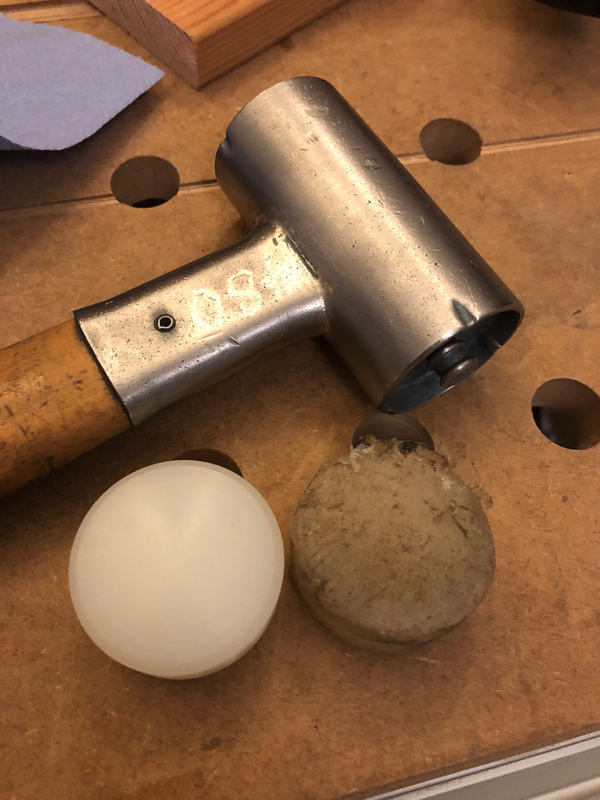 My dad was notoriously non-handy, so no tools from him, but I have an old, wooden handled screwdriver from my grandfather that gives me the same feeling when I hold it - this is the third generation of utility. I can't say that for my computer. @HarveyWildes, yes. True words about the comparison between tools and computers. I get so much more satisfaction these days from hand crafting anything. Even more with nice tools, and best with some heritage tools that enable me to remember my ancestors and how they worked with the same tool. 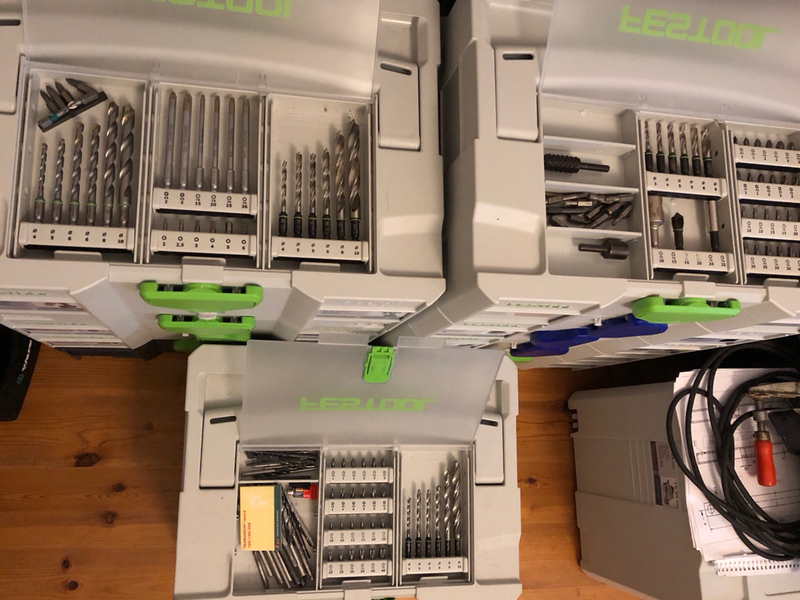 I decided to finally get the „a little bit more than extended base set“ of tools I had been craving for and have splurged for some nice things. Latest purchase arriving today was the KV-SYS D8 which seems nice. Hope to try it next week. In addition I got the Bluetooth remote for the CT and some consumables. The one for the Lady! A while ago, when I saw the pink mini-Systainer, I got a couple for the Mrs. to get her tools into a nice ladylike home. She appreciates my Systainer stacks, since they help build and fix stuff on the honey-do-list. When I saw the pink Wihas, I knew this would be the perfect addition. But I have to say, they seem good quality and certainly look the part. I have been wanting a belt sander or large disk sander for some time now. But I am too cheap to try and get something new and have too many other projects preventing me from building something. 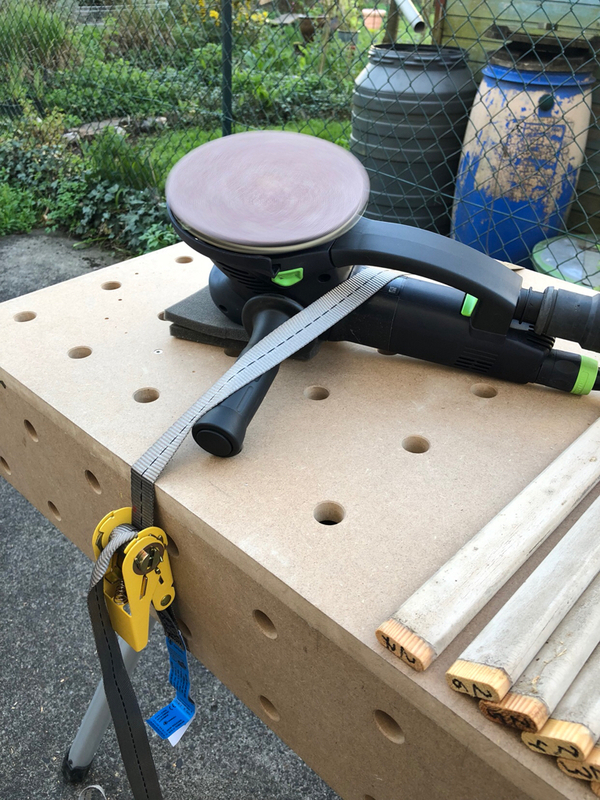 So anytime I need to sand small things, it is back to my trusty sander for any application, the RO150. What a godsend this thing proves to be, time and time again. I love my DuoKlamps.... They have just enough clamping strength in either direction for many tasks, but are lightweight as well. My often 'first' grab clamp choice in my shop, esp. 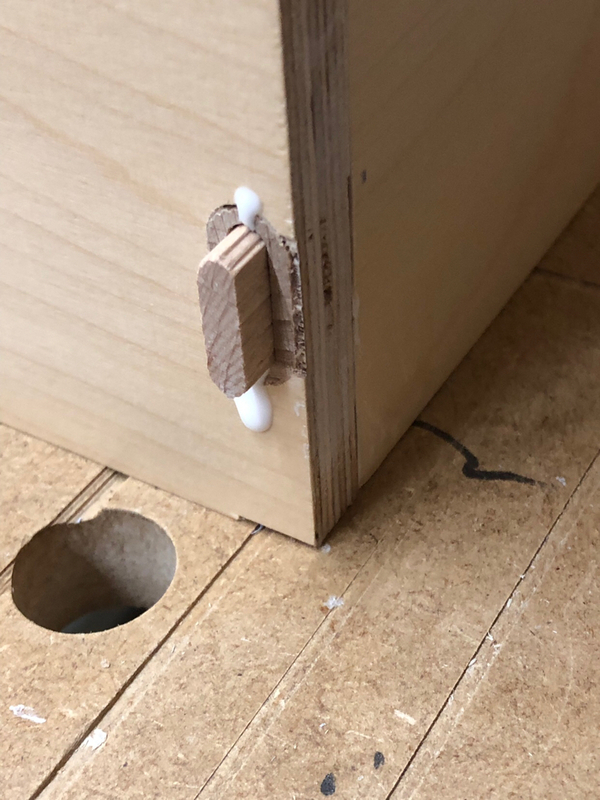 if I need to disassemble something like a chair joint for regluing. 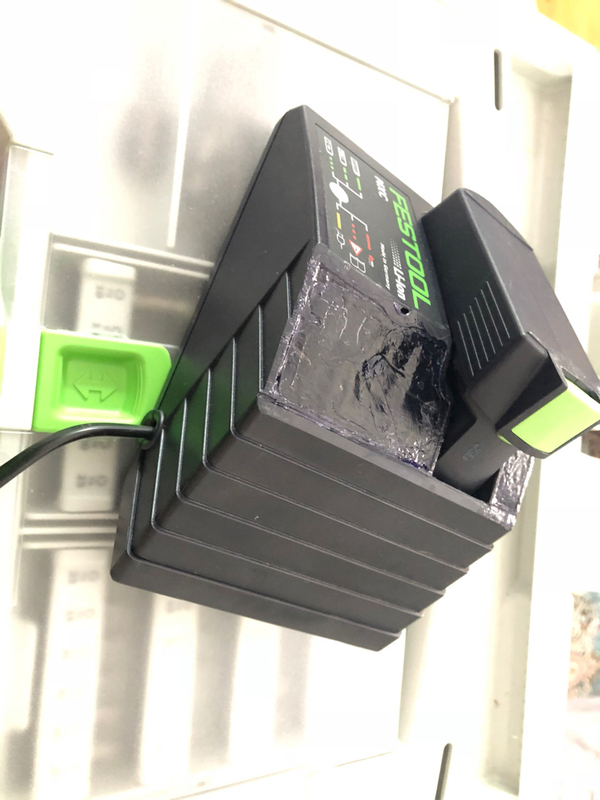 In my quest to optimize drill storage I went ahead and butchered my CXS charger. In its original shape, it did not fit into the SYS-1 with attic lid. I chopped of the upper part with a hacksaw, melted it in my oven at 220°C and mushed it into the open spots. Glued in with plastics glue. Seems to work and fits perfectly, the Frankencharger. Got a brand spanking new RTSC 400 and can’t wait to use it. 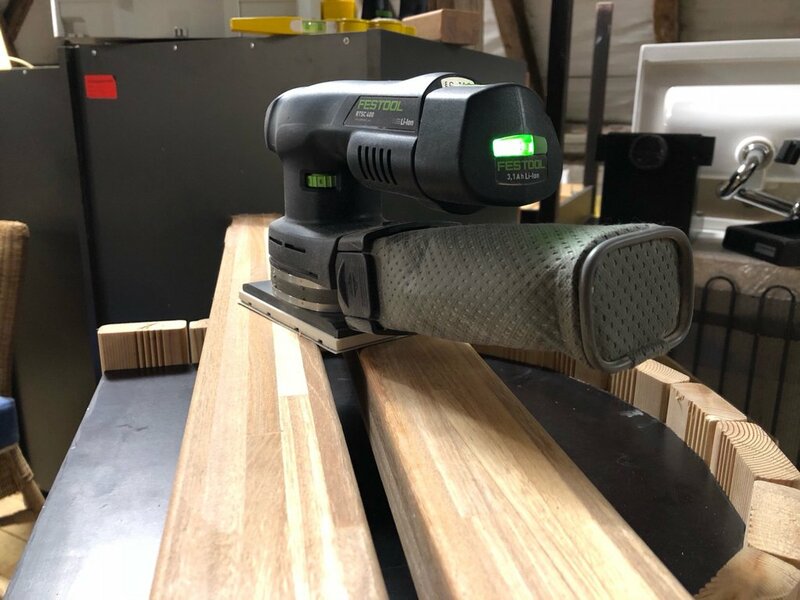 Unfortunately, the sanding sheets for it are still in the mail, so it will be tomorrow or the weekend.
. Give us an in-depth review of it once you’ve spent some time using it. I just wanted to quickly put an update in the thread. 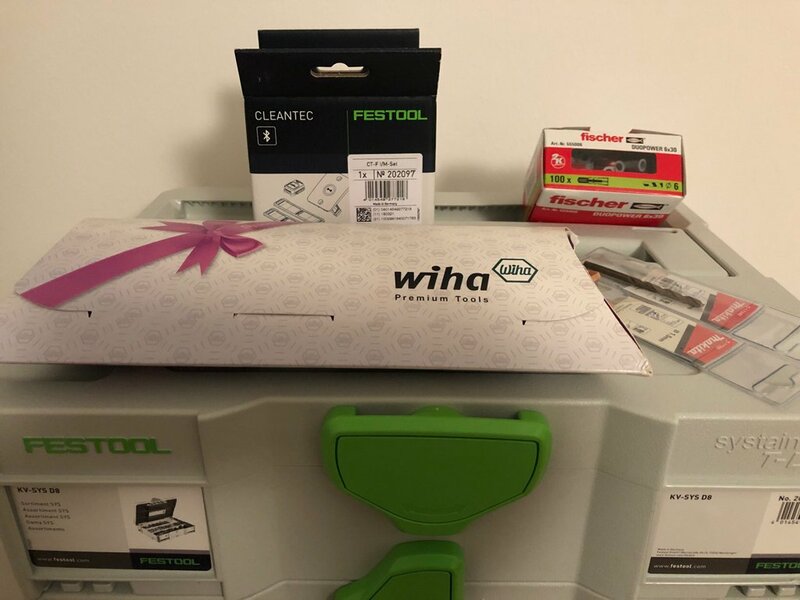 I have to say, the last weeks I have really felt the Festool-Love again. It is just so great how the stuff works together and how good it is on the road. I am just quickly building a wooden horse for my niece (6). I was not able to finish this at home, due to timing constraints. So I packed a bunch of Systainers and some additionale into the car and have now setup shop in my girlfriends attic. Took 15mins to get productive. It is the attic of an old hotel building which was renovated some years ago and now houses a dental clinic and some flats to rent. I never worked on the attic before. I mostly used the balcony or backyard when working here. Today it was raining, so I chose the attic. Nice workspace, even though I need to maneuver around all the stuff that is stored there. Good thing is that there is loads of sawdust etc on the ground already, so I don’t have to be too careful. Here, another impression from today..
Never mind. Sent a PM. So. Finally the time has come! We just moved our stuff and the new house/flat has a garage. I already put up the MFT and fabricated some extensions for the bracing of the lady’s desk. 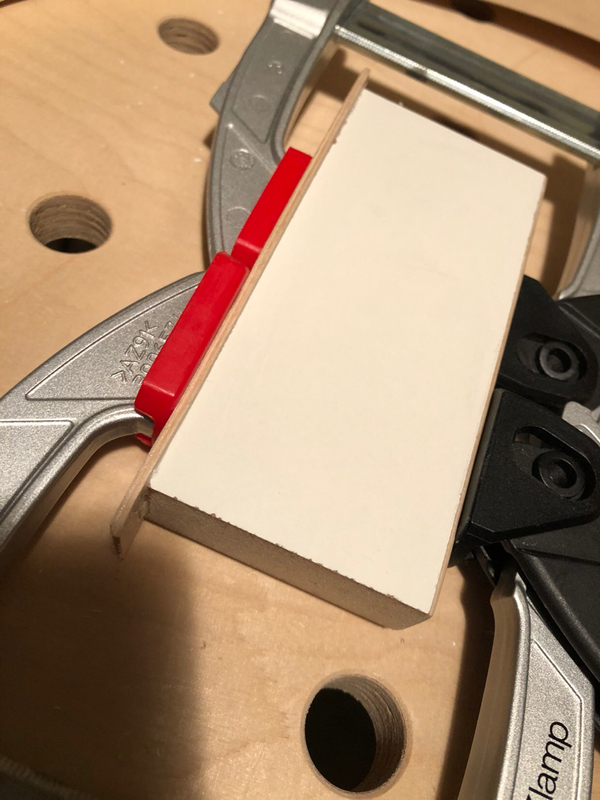 While the shop is a total mess in this time, it helps a lot to have a place to just quickly sand something or have the Kapex ready for a cut, which I have not had for the last 10 years. 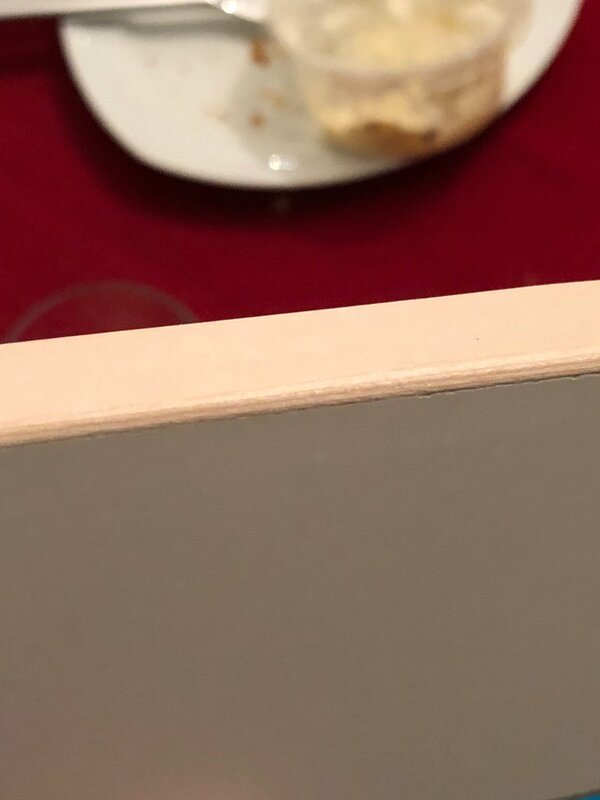 I really enjoy working again, and I find myself putting more effort even in the little things that will be left unseen in the end, just because of the working environment. Today, I had another use again for the new laser level. So, the chaos is progressing and I finally had the chance to check out the KV-SYS connectors for the DF500. 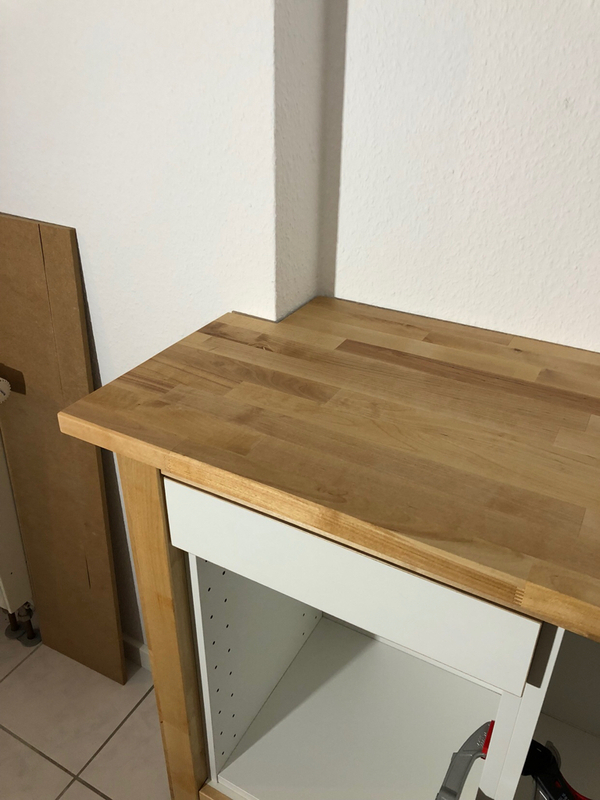 We needed a narrow unit on the left side of our kitchen, so what I did was to buy a couple of IKEA units for their current kitchen series. I cut them down to fit into a self-build corpus that matches look and style of the original. 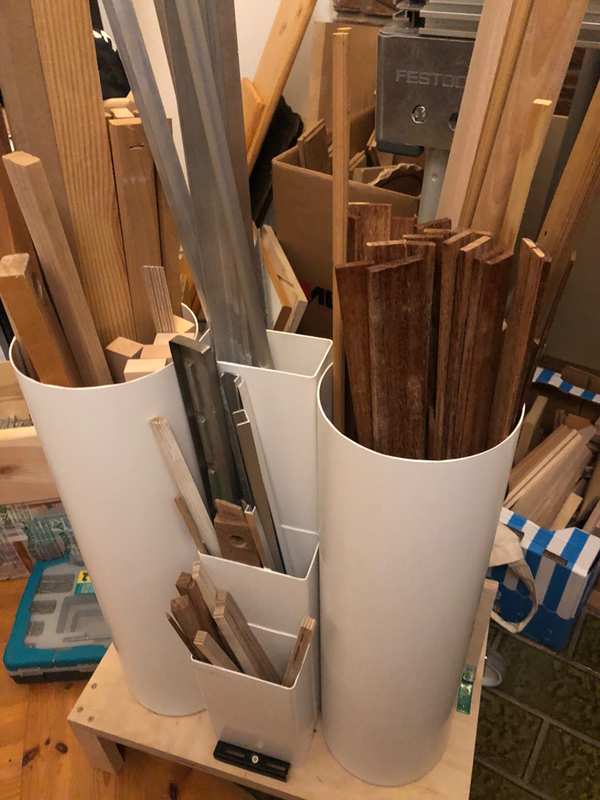 This way we can use the comparatively cheap and quick IKEA storage solutions, drawers etc. But keep the look we want. 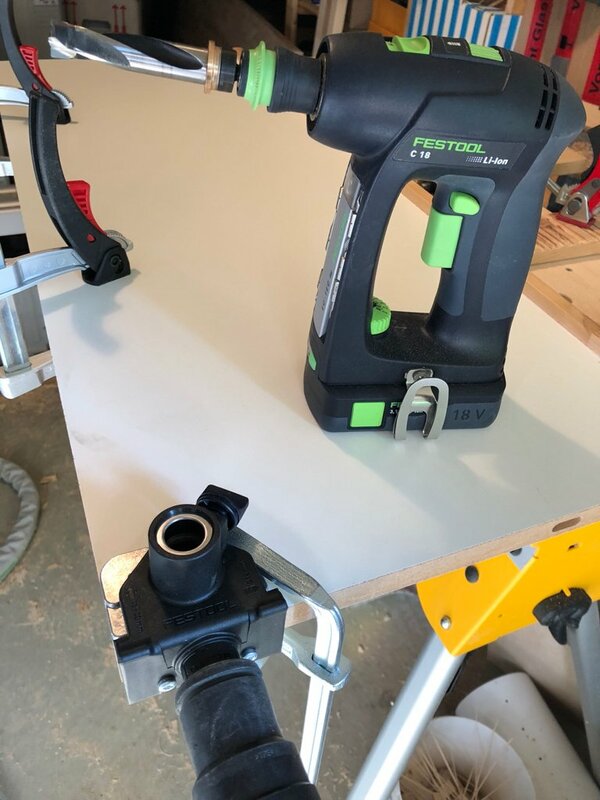 Somehow a very rewarding project to find that I am now able to build stuff I had not dreamed about some years and also some Festool purchases ago. Today I received 50m of birch veneer that will be used to cover the drawer fronts-sides. 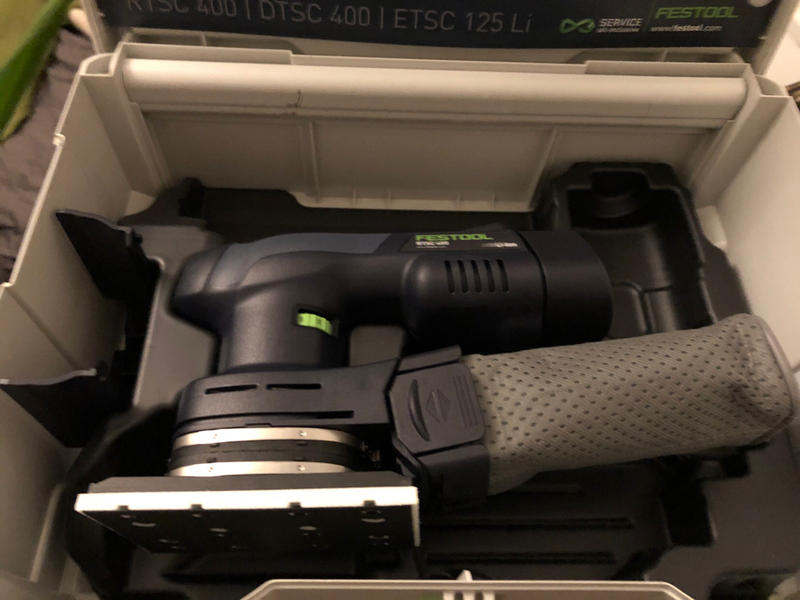 I found the Festool round over bit 2mm on local eBay a couple of days ago and I have to say „wow“! This thing cuts like a hot knife in butter! 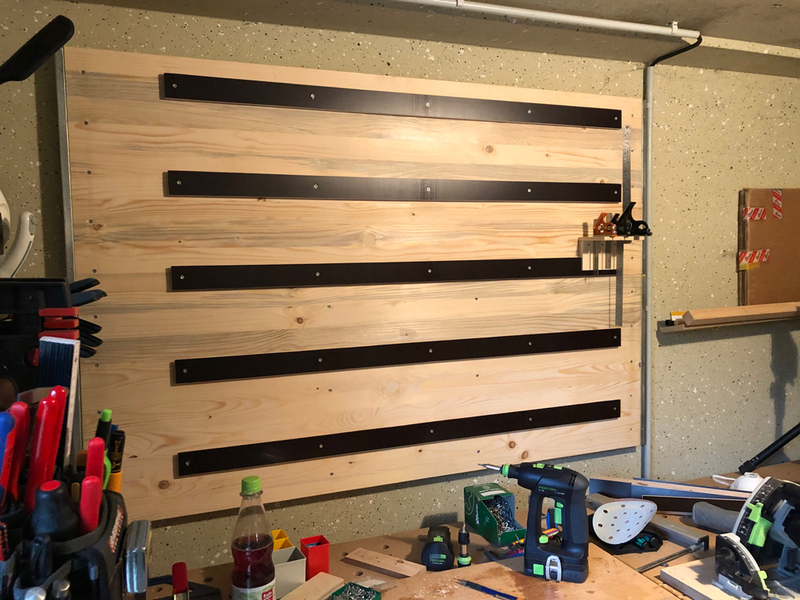 In between I turned to organizing the workshop a little and started with a French cleat tool wall. 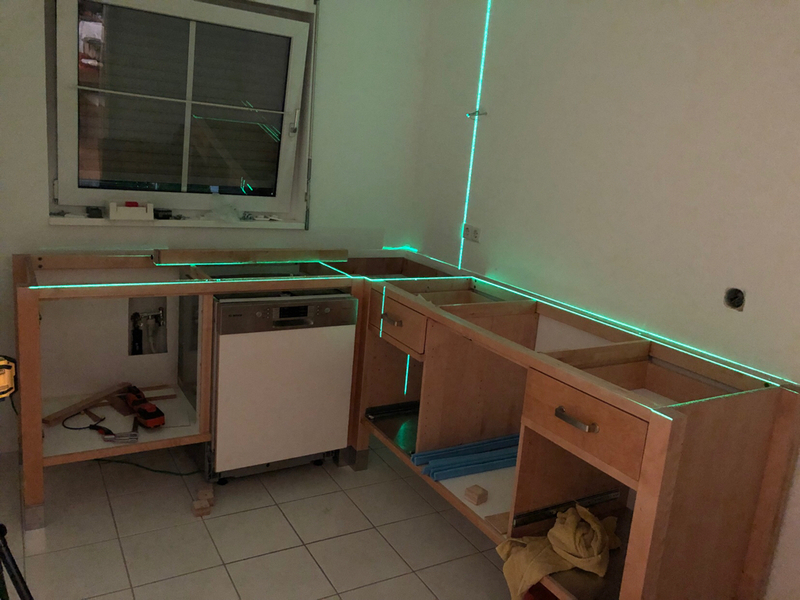 I‘m still not sure if I‘ll like the end result, but so far I chose mostly cheap materials and with a bit of sanding, everything seems to turn out well. 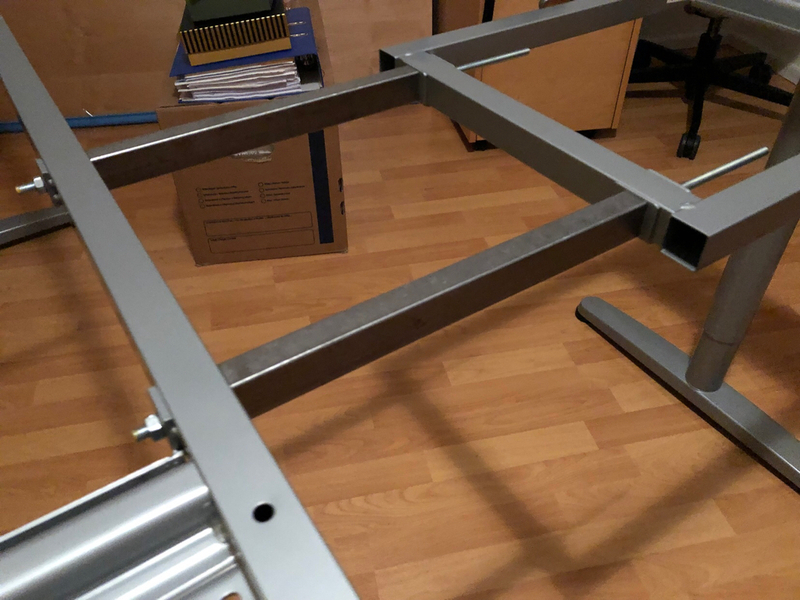 If you have any good tool holders, please share, since I think this is where it all comes together, and most of the stuff I have seen on YouTube was mostly uninspiring in terms of accessibility and ergonomics..
What a time. I‘m struggling to keep up. I‘m in the workshop almost every minute for the last couple of weeks. I‘m currently tackling a built in for our living room, which I definitely underestimated. But it is fun to try new things and this is bigger than anything I’ve done before. 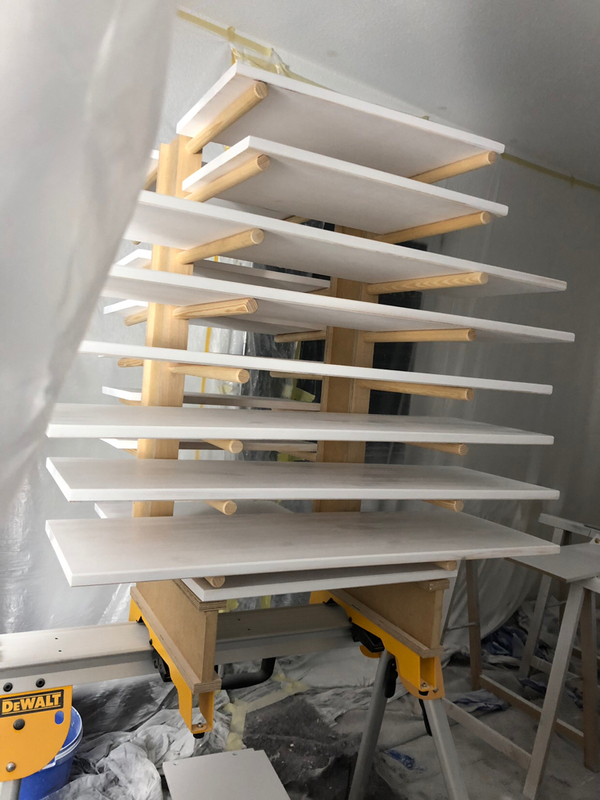 Below you can see a shot of it “dry fitted” followed by a view of the @Scorpion inspired drying rack, which works great! 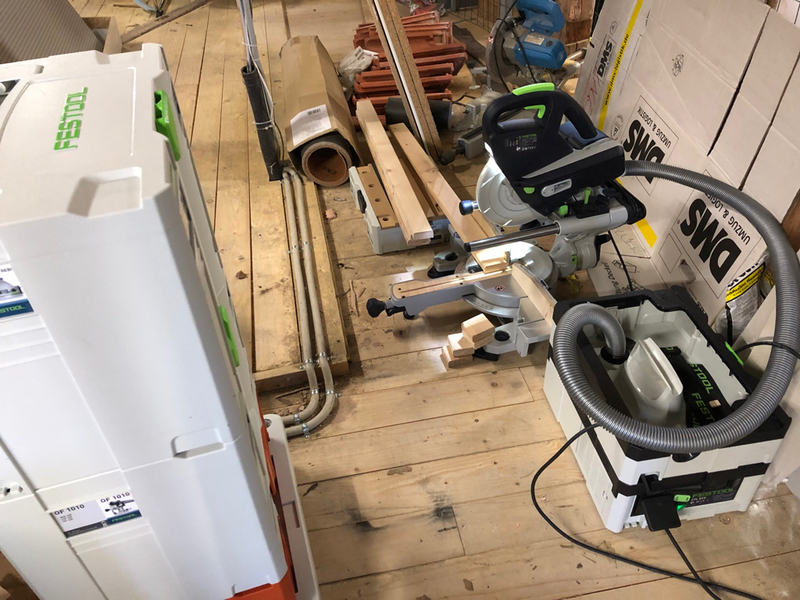 I’m trying out the Graco Ultra on this project, and apart from the usual learning curve it seems to be the ticket I wanted it to be. The bookshelf is on it’s last legs. While doing that, I invented a new joint: The double Domino! I also did that (but not that nicely centered as you managed) by forgetting to change the fence height. Have to admit: your invention is more pleasing to the eye. I am quite happy with how it turned out. It is a built-in bookshelf spanning one of the outer walls of a part of our living room. 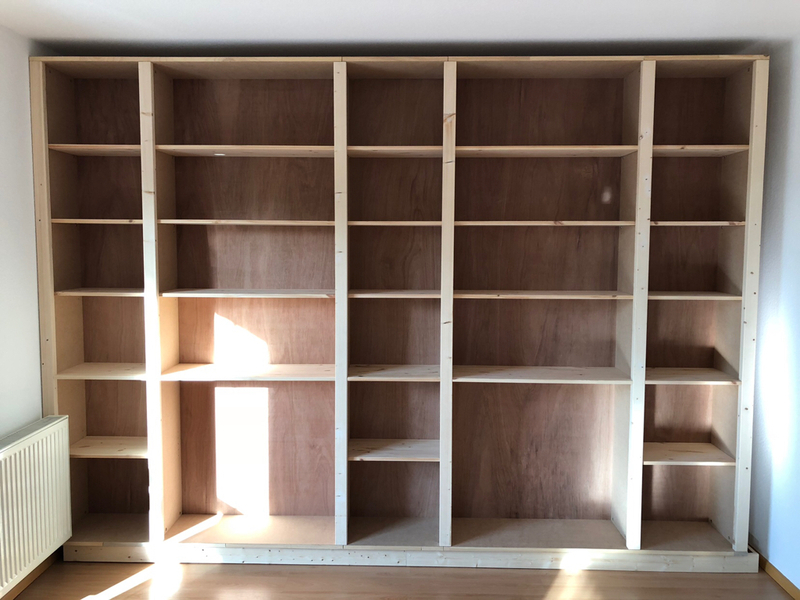 Openings on the wide shelves are 850mm on the narrow shelves 450mm. 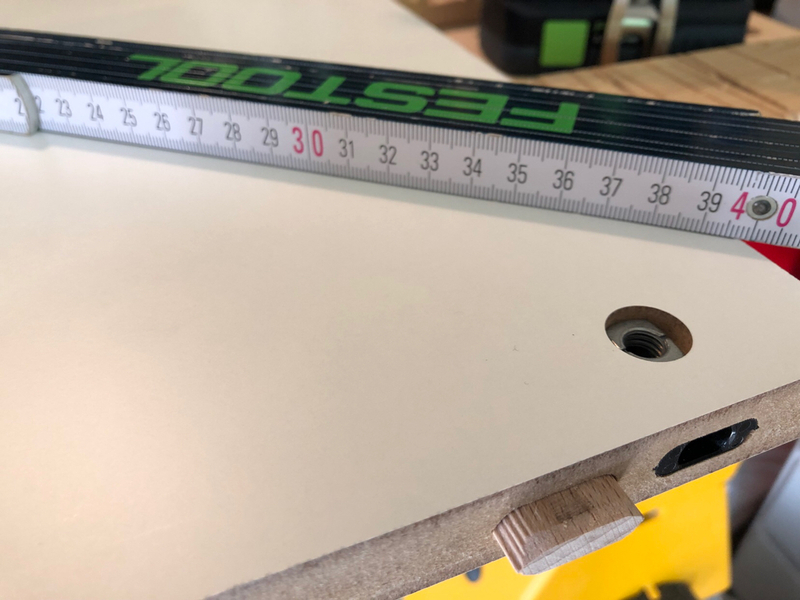 Wood is a mix of MDF-Faced 22mm Tischlerplatte(coreboard/blockboard may be the English equivalent), spruce(beams), pine (shelf boards) and plywood(back). All painted with Brillux Hydro-PU-Spray lacquer. (Blocking primer, filler, 2xTop coats). What you see with the dominos inside are just the interior drawer boxes. They are protected with Osmo Uvi-Wax since I had this around and need to use it up.. The drawers will get white fronts sprayed later.